but his matching buttons to system, department and channel is BRILLIANT. i will be doing that also. hey Frank i spend some time up in northeast ohio once in awhile. i grew up there. east of cleveland. Yup that's the "idea" I was referring to. Here is mine all color coded cyan unit info chartruse system related tanish department related blue channel related on detail trunk screen photo shot. Yesits a pita to setup I couldnt do it on sentinel had to do it on the unit then read it into sentinel then use copy to send it to conventional detail also. Anyway heres the pi. I’m more SouthEast of Cleveland. ok, yes, i know about these. i thought what was meant was there we diff color systems set up you by uniden could select from. ok youngstown area. cool. 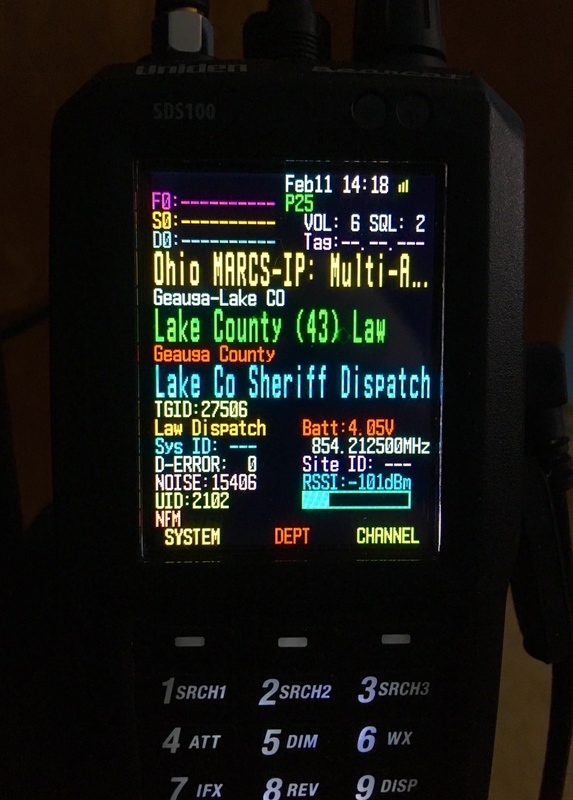 love the ohio MARCS system when i am there. as a kid, it was analog. My setup. I tried to keep as much contrast between each line but still keep it readable. i think you made a typo. you mean you can spend DAYS messing with the colors. LOL. in case there are ops who do not own one of these scanners looking a this forum, you can change colors on each of the diff scan modes AND whether you have the screen in basic or detailed in those scan modes to diff color schemes (that means literally everything on the screen can be set to whatever color you like, including the lines). hope i explained this right at 5am. maybe the correct word is YEARS, DECADES or LIFETIMES. real simple but sort of takes the color benefit away. Simple is better. Want to be able to read data quickly. I still have my Christmas tree up if I want to see bright perty lights. LOL. mine looks like a christmas tree. need post recent pic later. Just because it has a lot of colors you really dont need to use them all. Sometimes simple and clean is what looks best. I wanted my sds100 and 200 to look like something the Factory would have come up with. u had what the factory came up with when you took it out of the box. it had many colors. to each his own. that is the beauty of this scanner, we can set it however we like. this is truly the make scanning great again scanner. Yeah was never a fan of the uniden orange and dark orange. But it was nice of them to make the screen customizable. Almost every sds scanner will have its own custom screen now. My screen set-up is all about readability at a glance. To make the text larger, I have converted all of my Favorite Lists' fields to ALL CAPS. I've been using lighter colors on a black background. 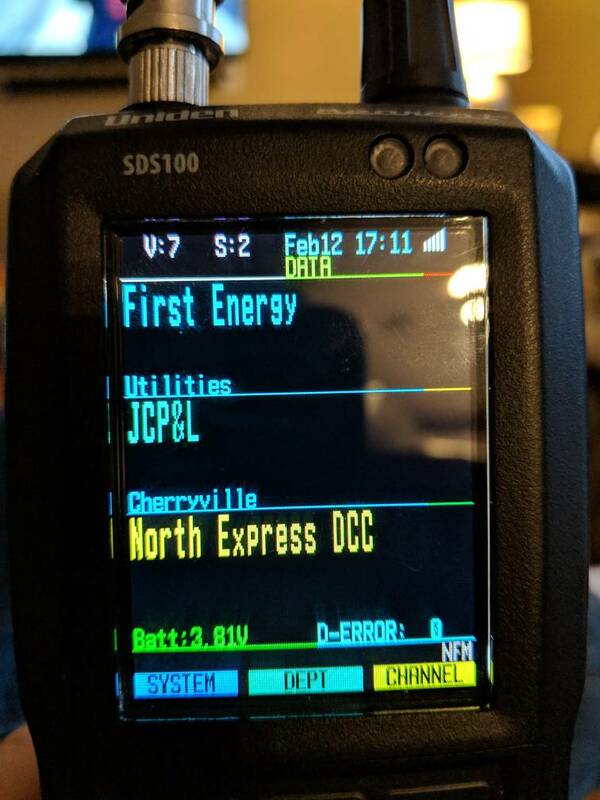 The channel name is the most important thing I want to see at a glance when I hear a transmission, so that field gets the lightest color of the palette I'm using. Oh, and I'm using simple display mode. If I have the scanner in the house and I'm tracking down some freqs or talk groups, I might switch to detailed display mode.